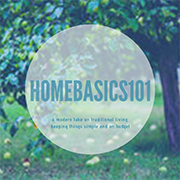 My mother absolutely loves baking, and this is her go-to recipe for chocolate cake. 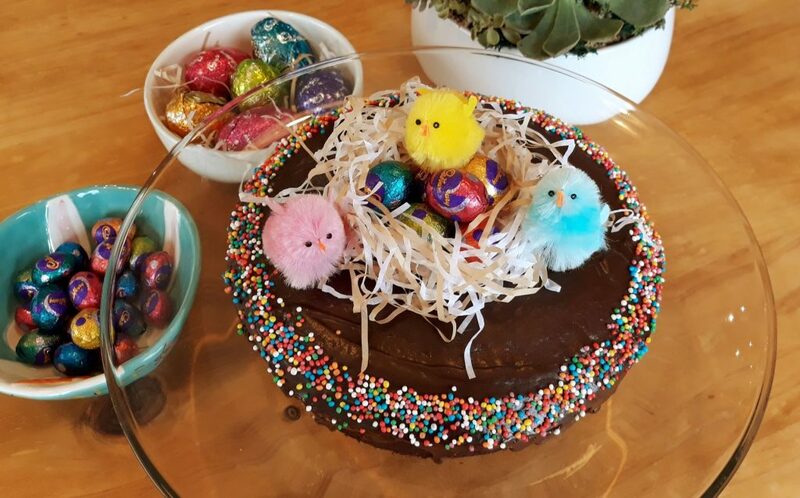 She usually bakes it when visiting her grandchildren and my kids love this cake topped with chocolate icing and sprinkles. 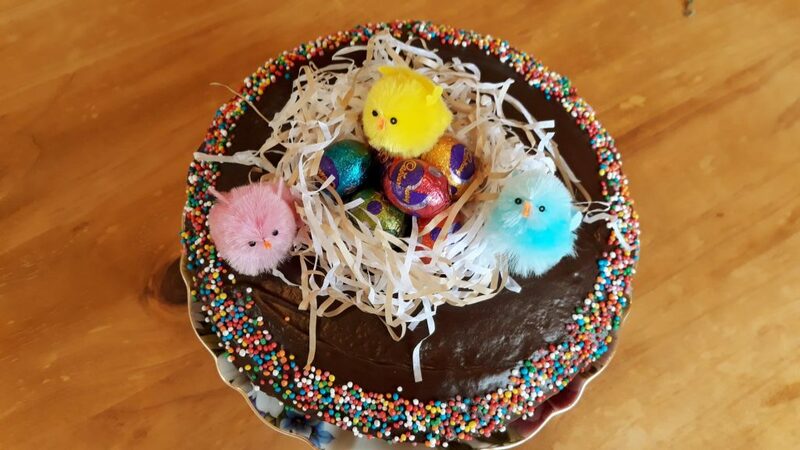 This year I thought I’d decorate it with Easter eggs to make a fantastic little indulgent cake for dessert this Easter. Preheat oven to 180°C. Grease a 20cm round baking tin and line with baking paper. Beat the butter, caster sugar and icing sugar together with an electric mixer until light and creamy. Add the eggs, one at a time as well as the vanilla and jam. Beat until combined. In a separate bowl, combine the sifted flour, bicarb and cocoa. Fold into the mixture alternately with the milk. Stir until just combined and almost smooth. Pour into prepared tin and bake for approximately 45 minutes or until cooked through. Leave it to cool in the tin for 15 minutes before turning out onto a wire rack to cool completely. Top with icing. Place all ingredients into a small saucepan. Cook over a gentle heat until melted. Stir until glossy. Remove from heat and gently pour over the cake. If you are using sprinkles on the cake, then you need to add them just after pouring on the icing as the icing will set and the sprinkles won’t stick. For this cake, I poured the icing on the cake and added the sprinkles around the edges. Once the icing had set, I added the decorations in the centre. It wasn’t exactly how I wanted it to turn out. I wanted to have a white chocolate lattice basket in the middle filled with Easter eggs. Sounds easy right? Just melt a little chocolate and drizzle it in a small bowl lined with cling wrap. But no. The first time the chocolate overheated and ceased up into a clumpy paste, and the second time it softened but failed to melt and stayed in a clumpy paste. So, after two failed attempts, I gave up on the whole stupid white chocolate thing and just used some shredded tissue paper I had purchased for some Easter decorations. 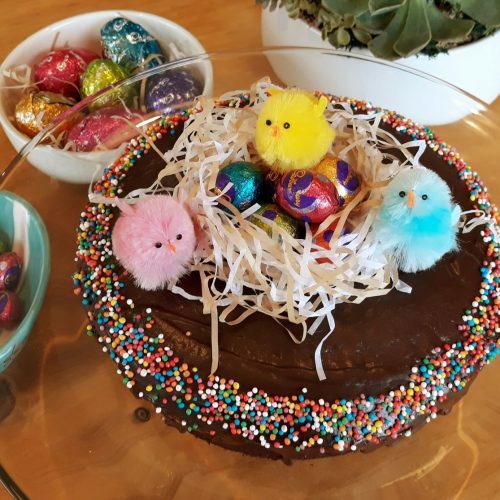 Ignoring my white chocolate disaster, it’s an easy way to transform a great everyday chocolate cake into a delicious Easter dessert. Happy Easter! Place all ingredients into a small saucepan. Cook over a gentle heat until melted. Stir until glossy. Remove from heat and gently pour over the cake.